Reduction of motorized traffic by 2-3% in the following years sounds like an overly ambitious goal for a project, but in Dimitrovrad (Bulgaria) it is already happening. The Municipality launched an e-bike sharing system which is one of the pilot actions that will be implemented within the project Chestnut. 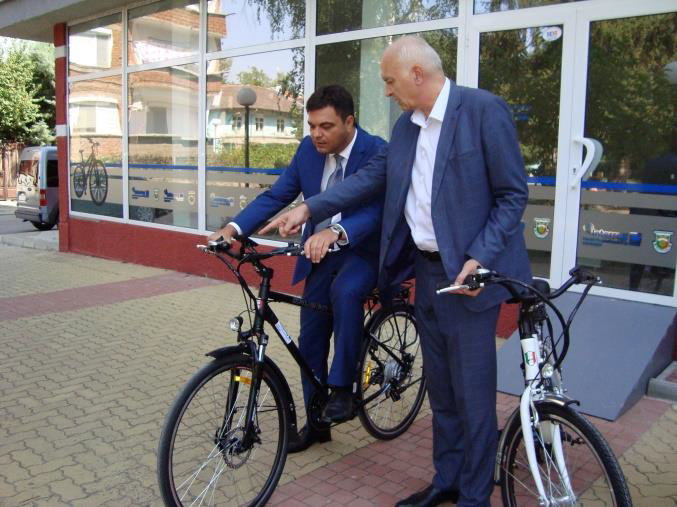 “The residents of Dimitrovgrad will be able to use 20 electric bicycles, starting September 19th 2018 until end of May 2019. Environmentally friendly vehicles will be given up to an hour and a half free of charge with the provided ID card data and a completed application, with common rules for operation applied. For this purpose, two locations in the city will be provided,” said Yasho Minkov, Deputy Mayor. The working hours for renting a bike is Monday to Friday, from 8 AM to 6 PM. Bicycles will be available until 4.30pm, so that they can be returned within working hours. Parents can rent bicycles for their children with appropriate responsibility. Every bike has GPS installed, which allows real-time monitoring of its location. GPS tracking system is monitored by seven employees involved in the project. The bikes can reach maximum speed of 40 km/h and can cross up to 50 km in one charge. 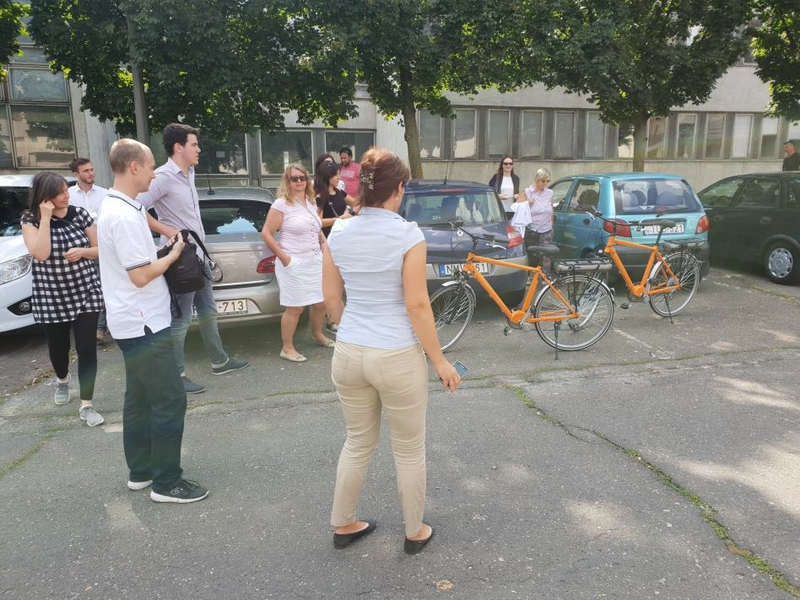 Municipality of Dimitrovgrad financially supports the maintenance of the system, while each user takes responsibility regarding usage and potential damage of the bike. 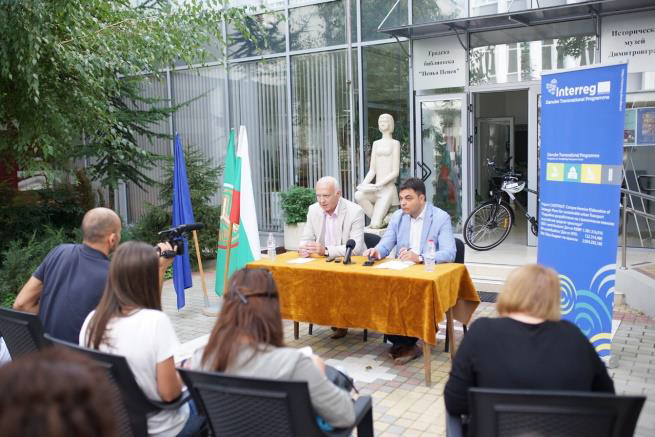 Dimitrovgrad is not the only city that will contribute to reduction of private vehicles usage. Prague District 9 is buying 10 bikes for bike sharing. Dubrovnik's Development Agency DURA is setting up 2 car charging stations and buying 20 e-scooters and e-bikes. Zadar County Development Agency ZADRA NOVA is setting up a bike sharing system with 30 bikes, establishing RFID smart card system. They will learn good experiences from the project partners that have already started something similar in earlier project cycles: Municipality of Weiz, which extends its existing e-mobility system with new cargobikes and e-scooters, and Municipality of Velenje, which strives to upgrade the long-running Bicy system with additional stations, conventional and electric bicycles. Project partners who do not run pilot actions will contribute in another way - by creating Sustainable Urban Mobility Plans on Functional Urban Area level. The SUMPs at FUA level are tools able to enhance the planning capacity in the mobility field of the regional/local authorities concerned and to lay down the basis to reduce the private motorized traffic. By planning more sustainable mobility plans, introducing pilot actions, reducing motorized traffic in partner cities, the Chestnut project contributes to joint capitalization in Thematic Pole 6, thereby achieving the project's main goals. Project aim is to show there are more environmentally-friendly methods of moving in urban areas in order to reduce pollution. “This is an innovative project that aims not so much to enable people to move around with electric bikes, but to show them that there are alternative ways to do so. This is a small step for Dimitrovgrad, but the citizen feedback is excellent. Along with all the other projects within the Capitalizaton Pool 6, the most ambitious goals can be achieved with such synergy,” commented Yasho Minkov. Walk’n’smile application is developed in the framework of the CityWalk project’s WP4 – as a tool to, among others, enable walkability assessment using smart phones. The application will offer many cool functions that were designed with the help of the partnership. 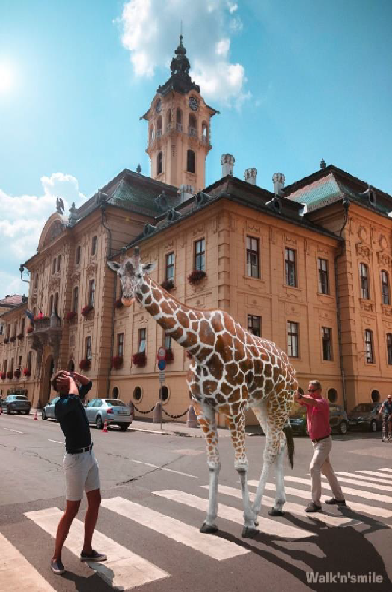 Just to give a few examples: you will be able to walk a giraffe, ostrich, zebra, flamingo or even a lion in your city and you can snap a photo of it and share it on social media. Moreover, you can do the same with Christiano Ronaldo, Pink, Einstein, Chaplin or you can even recreate the famous Abbey Road photo with the Beatles. The aim of the app is to promote walking, healthy lifestyle and happiness: let’s walk and smile together! On famous routes – check how many percent of Route 66, the Las Vegas Boulevard or other famous routes you would take daily based on your step count. The walkability index will enable the measurement of the walkability level in the partner cities. It will take into account numerous factors from diverse sources. If one would like to measure the level of walkability in a partner city, it will be necessary to have data from statistics, own measurement and questionnaires. Without doubts it will be possible to measure the level of walkability in non-project partner cities with some extra efforts. The index will be available online and get its final form after testing it in pilot cities. The Feasibility studies have created grounds for development of eGUTS Standards, eGUTS Local Action Plans, eGUTS eMobility Strategy for Danube Area and are also used in pilot actions. For all interested in current state of affairs of e-mobility in Danube region, the studies provide valuable overview. During this period eGUTS Local Action Plan Guide was developed and translated into nine languages: Romanian, Slovakian, Slovenian, Hungarian, Croatian, Czech, Austrian, Montenegrin, and Serbian. The eGUTS Local Action Plan Guide contains detailed step-by-step guidelines to Local Action Plan development process together with Local Action Plan Template complemented by Training materials. The eGUTS Training Materials in e-format are designed for self-paced study and include text and images as well as several quizzes together with references for further study. The use of training materials is open for anyone interested in e-mobility, be it as a policy maker, an interested layperson or expert/researcher/practitioner. Meantime Hungarian Partner also started the implementation of the First Pilot Project, and prepared to install an electric charging and e-Rental station for eBikes and eCars in Paks. Preparation activities consists of gathering the technical specification, the framework for development, testing and implementation, technical document and list of documents for users and operators and public procurement for the external services. Pilot action also serves as test-bed for parking policy preferences. E-mobility days on the 21st of September 2018 in Velenje, Timisoara, Olomouc, Paks, and Zadar. The first major output of the LinkingDanube project – the LinkingDanube Concept – is finalised and now available as a brochure to the general public. As transferability of the project results and approaches is one of the main premises in LinkingDanube, the brochure is targeted at giving project externals an overview on how linking services can actually be implemented in a multi-stakeholder environment. Following this transferability aspect, the intention of the brochure is to prepare the gained know-how in an understandable way in a first step and provide references and detailed documentation of the developed technical approach in a second step. The brochure describes the technical and organisational concept for building up a transnational, multimodal travel information service linked across borders. It describes the jointly developed technical approach and points out the significance with regard to EU policy and legislation. Furthermore it sets out the benefits of linking services for both the service providers as well as for the travellers (i.e. end users) that receive improved information. In particular the brochure tackles the issue of linking multimodal traveller information services that are available within the regions and countries, thus creating the look and feel of one common system for the end users. At the same time, all data are staying at the local source systems and an appropriate common interface enables communication between the linked services. In such a linked or “distributed” system, travel information and routes can be exchanged between the systems on demand. That way the coverage of one single system can be improved by requesting the information from other sources. Besides strategic aspects, the brochure includes an outline of the system architecture of the distributed journey planning system and the applied interface. Detailed specifications and documentation will be available upon request and for free. Based on these specifications the actual development work is going on in the project. 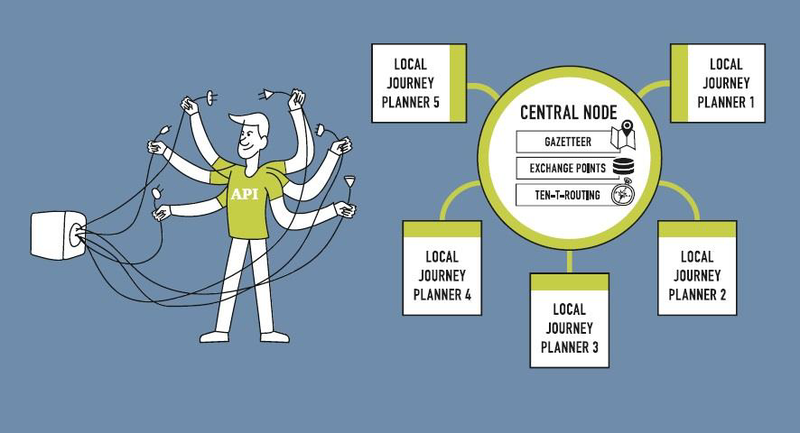 The so called “Danube Region Journey Planner” will be a pilot implementation of a distributed journey planning systems of six local travel information systems in the Danube Region. The local systems that are participating in linking services are Verkehrsauskunft Österreich (VAO), IDOS from Czech Republic, Utvonalterv from Hungary, Timisoara Journey Planner (TJP) from Romania, iKVC service from the Slovakian Railway Operators and AtoB Ljubljana from Slovenia. You are kindly invited to read the LinkingDanube Concept brochure and to get in contact with us in case you are interested to learn more about the project. There are a series of events planned where externals are welcome! Please refer to section “Planned events” of this newsletter. Bettina Neuhäuser, AustriaTech Federal Agency for Technological Measures Ltd. 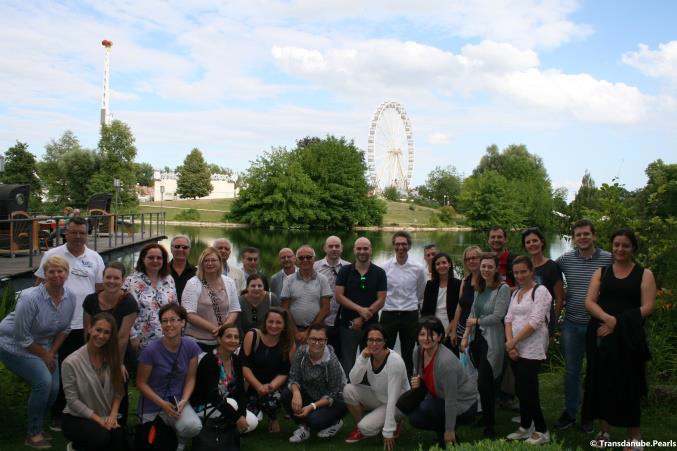 In the course of the project Transdanube.Pearls, altogether 15 project partners from 10 Danube countries aim to develop a network of destinations (so-called “Pearls”) committed to sustainable mobility in tourism along the Danube. The goal of the project is to develop socially fair, economically viable, and environmentally friendly and health promoting mobility services for the visitors of the Danube region. Up to now, the first pilot actions fostering such sustainable mobility services have been successfully implemented. One of these is mobility information centres along the Danube that provide information and offer sustainable mobility and tourism services within and between destinations. The first mobility information center was opened in Murska Sobota (Slovenia) by the project partner Development Agency Sinergija in June 2018, during the European Mobility Week (18–22 September 2018) SERDA opened the so-called Danube Delta Mobility Information Center in Tulcea. Further mobility information centres will be established during project lifetime in Slovakia (Bratislava), Hungary (Mosonmagyaróvár,) Croatia (Vuvkoar), Serbia (Kladovo and Iron Gate) and expectedly Romania (Orsova/Dobreta Turnu Severin). Besides, the first important step for the establishment of a network of “Danube.Pearls” was made on 12-13 July 2018 in Neu-Ulm, Germany. Project partners and representatives of interested management organizations from the tourism sector attended a two-day seminar. Participants had the chance to discuss the organizational structure, responsibilities, benefits and working areas of the future network. Moreover, a joint city walk through the city center of Ulm provided the chance to get to know each other and their pearls. document that, once finalized, expected to be used in the 7 countries of the Carpathian Convention. The conference also saw the launch of a communication material aimed to popularize the topic of TRANSGREEN: a short animated video introducing the project vision on harmonizing connectivity for people and for wildlife (click here). 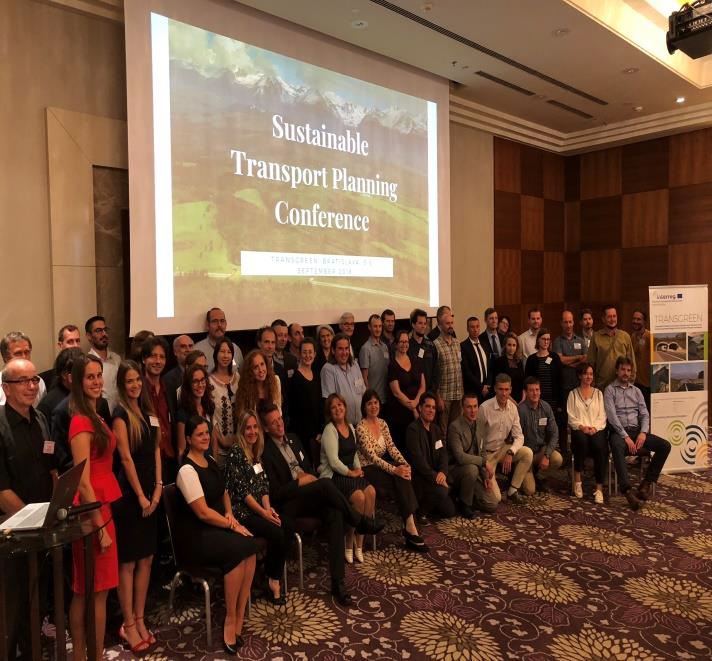 As part of the mission of TRANSGREEN to foster knowledge exchange in the fields of sustainable infrastructure planning a highlight was the strong participation of project experts in prestigious Road Ecology event: IENE 2018 International Conference “Crossing borders for a greener and sustainable transport infrastructure” (details here). The biannual conference IENE 2018 - Infra Eco Network Europe – is going beyond the old continent as focus topics and technical coverage. IENE is a network of experts working with various aspects of transportation, infrastructure and ecology, aiming to promote a safe and ecologically sustainable pan-European transport infrastructure. TRANSGREEN project was represented in a "lighting talk" held by project manager Hildegard Meyer and expert Václav Hlaváč (Nature Conservation Agency, Czech Republic), and two poster presentations. 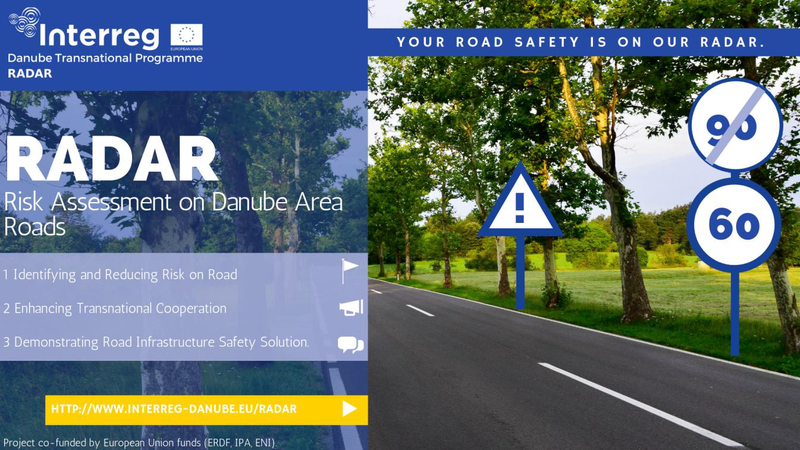 RADAR (Risk Assessment on Danube Area Roads) is set to identify risk on road networks and produce plans to systematically reduce that risk by improving infrastructure and road layout. It will provide training and encourage transnational cooperation activities to help road safety stakeholders in the Danube area learn from the best practices in the Danube area and Europe. RADAR involves 12 countries across the Danube region, 10 project partners and 9 associated Ministry and road authority partners as well as three international organisations South East Europe Transport Observatory, the European Union Strategy for Danube Region (Priority 1b - Rail-Road-Air Mobility) and International Road Assessment Programme. The partnership is led by European Institute for Road Assessment – EuroRAP from Slovenia. The 36-month long project (June 2018 – May 2021) with the financial support of 2,15 million EUR for cooperation on improvement of the road infrastructure safety in the Danube region was approved by the Interreg Danube Transnational Programme 2nd call. The RADAR project partners have already started cooperating on first activities that will contribute to improving road infrastructure safety as well as raising awareness about the condition of the roads across the Danube region. Training courses and study visits for road safety professionals are set to guide project partners through the steps from analysing safety on their road network to defining road safety solutions that are cost effective and likely to generate the highest reduction of crashes and casualties. On its 1st Danube Road Safety Conference, held on October 24, 2018, at the European Road Conference in Dubrovnik, Croatia, RADAR will not only discuss and share knowledge on how to recognize and reduce risk on Danube’s roads, it will also encourage the use of proven methodologies used to identify the most effective measure that can save lives by improving the road infrastructure. You can read more about what else can you expect at the 1st Danube Road Safety Conference HERE (http://www.interreg-danube.eu/news-and-events/project-news/2516). Stay tuned!